When the film begins, Fern finishes her meal and leaves the house without saying goodbye to her mother. That might would not have bothered Fern so much if not a few hours later a phone call she receives informs that her mother is in the hospital. By the time when she reaches her destination, she finds out that her mother has passed away due to heart attack. As she had no money to pay for her mother’s funeral, the girl agrees to leave it at the hospital for study. As she tries to cope with the tragic loss, and caught up in the middle of a harsh Montreal winter, Fern does her best to make her ends meet. When Youth Protection knocks at her door, she escapes with the hope to build a new life for herself. Of course, to replace the grief with constant working at one of her mother’s cleaning jobs appeared as a great idea for Fern. However, it was a book called, “50 Ways to become a Millionaire” that makes her to believe in a successful and wealthy future. For that, all she needs is to save money as much as she can. Fern quickly does her math and realises that by the time when she hits her 50s she can be a millionaire. But does it mean that she has to change her personality to become who she wants is the question Fern will certainly ask herself, as you will watch her. However, it’s the appearance of her uncle Jack that makes Fern to reconsider her life and find that she is not alone anymore. 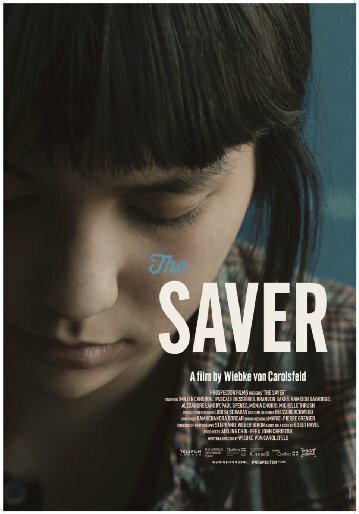 In conclusion, “THE SAVER” touches upon an interesting subject of how one teenage girl can achieve her long term plan. To become a millionaire means to have a great life with no problems, but it’s not what Fern will learn as the film continues. As she grows before our eyes, an orphaned girl will learn that a bird in the hand is worth two in the bush, and all what she has to do is to realize it before it is too late.